It was only at the beginning of September that I finally finished Dishonored 2, and now I have finished Death of the Outsider, the expandalone title which serves as a fitting post-script to the Corvo/Emily Kaldwin arc of the Dishonored story. Corvo and Emily have been the duo at the heart of the series from the start, while Daud and Billie Lurk have spread their wings in the expansions to the base games. With Dishonored 2 putting Corvo and Emily’s story to bed, Death of the Outsider ends the story of Daud and Billie, and the unifying factor to everything, the mysterious Outsider gets his final swansong. Death of the Outsider, as the name suggests, sees Billie take the lead in her quest to put an end to the Outsider’s influence on the world. Having been forgiven for her past transgressions at the end of Dishonored 2, Death of the Outsider sees Billie searching for Daud, her mentor from years past before unravelling a dark conspiracy surrounding the Void and Outsider himself. Daud’s tales in The Knife of Dunwall and The Brigmore Witches took a darker tone, exploring the more occult themes and ideas at the heart of the series. Billie’s tale takes these elements to a new level as she hunts the Eyeless Gang who are seeking to get closer to the Void through exsanguination of poor souls across Karnaca. 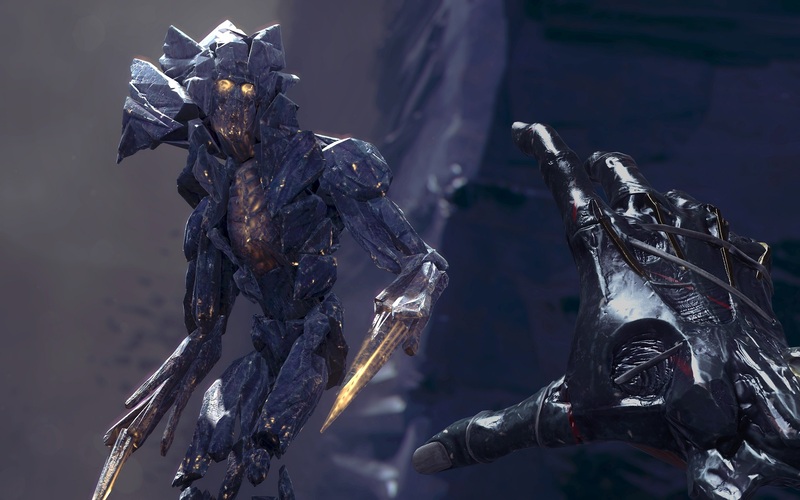 What makes Death of the Outsider work so well is the compact length of the game, taking about ten hours in all, and the stripping away of powers. Billie hasn’t been touched by the Mark of the Outsider like the other protagonists of the Dishonored series, but has been given her own powers thanks to Void artefacts which the Outsider grants her. 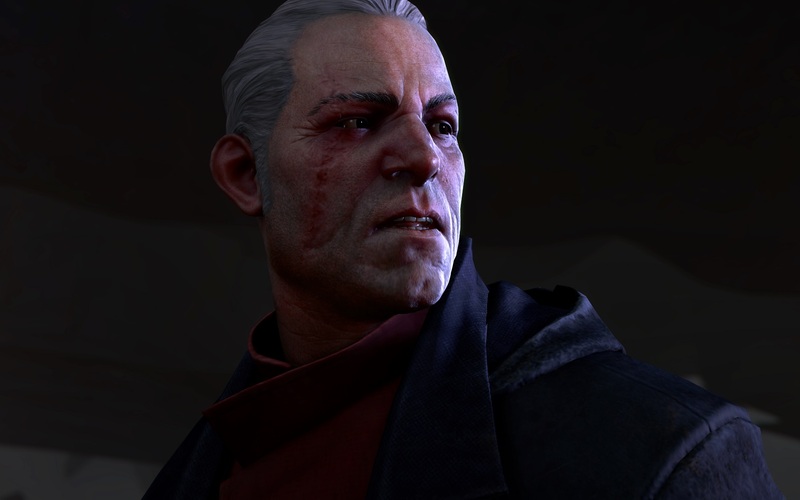 Exploring Billie and Daud’s relationship is at the heart of the story. Displace is Billie’s version of Blink, which in a fascinating trick can be used to explode enemies when displacing into them. Semblance allows Billie to take the appearance of people she renders unconscious for a limited time, while Foresight provides her with an opportunity to scout ahead and mark objects, while also plotting a point to displace to. It’s a fairly limited array of powers, made more interesting to use as the Void artefacts draw energy direct from the Void, recharging her power naturally over time without resorting to consumables. While they are limited, the levels have been perfectly designed to make use of Billie’s tools. In another twist on the normal structure of the series, Death of the Outsider doesn’t feature the chaos system, but there are as ever threads which continue through the game. The second and third missions both take place in the Upper Cyria district of Karnaca, and the decisions you make in your first visit where you try to uncover more about the Eyeless Gang have a direct impact on how the story unfolds in your second visit where you rob a bank protected by Kirin Jindosh’s Clockwork Soldiers. As ever with Dishonored, there are multiple ways to approach each mission. In my first visit to Upper Cyria, I slayed Shaun Yun of the Eyeless Gang, while revealed to the editor of the Karnaca Gazette all of Ivan Jacobi’s occult secrets. I could have left them both to live on with their lives, but with the darkness at the heart of this story, I didn’t deem them worthy of being left at peace. There are three identified approaches you can take while robbing the bank, and when inside you can do as you wish. The bank job is the centrepiece of the game, and where you will learn so much about how people live in Emily Kaldwin’s Empire. It’s a masterpiece. The Void is a dark, scary, place. The missions themselves are, as ever, a work of art from the team at Arkane with so many call backs to the other games in the series tucked away in nooks and crannies, and tales of the residents of Karnaca waiting for you to uncover them. The Contracts system adds an extra layer of complexity and challenge to the game. Without a Chaos system, some players may wonder why they should stick to as close a pacifist playthrough as they can. Contracts offer this added incentive, one will reward you handsomely with coin if you break into the bank without harming, or knocking unconscious, anyone, guard or civilian, who works there. Others are there to add some flavour to the narrative, but all are worth checking out at the least. It isn’t a full sized Dishonored, but Death of the Outsider is still a very classy entry to the series. It offers a different type of story to the main games, while also switching up some of the gameplay elements to keep players on their toes. Billie and Daud’s tales come to an end, and the Outsider? Well, you see him in the Void, and I now have an entirely different perspective on his arc through the whole series. If you have enjoyed any of the Dishonored games, you really must check this closing chapter out. Review based on Steam media account copy. Please head here for more on our scoring policy. I got half way through dishonoured 2 and lost interest. Can’t explain it, it’s clearly a brilliant game. How does his rate alongside Witches of Brigmore (arguably the greatest DLC I’ve ever played)?